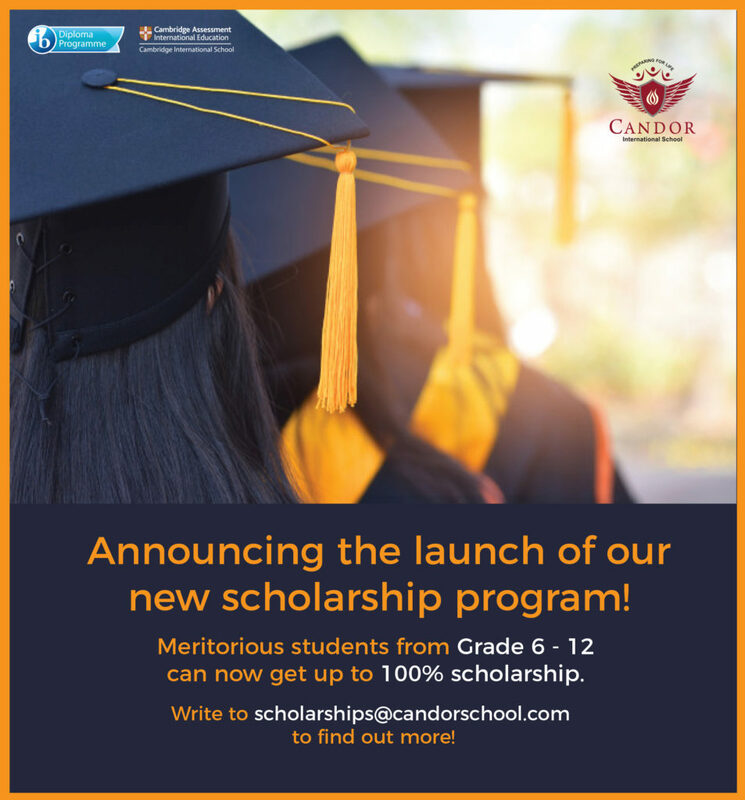 Announcing the launch of Candor International School Bangalore’s new scholarship program! Meritorious students from Grade 6 – 12 can now get up to 100% scholarship. d) All the scholarship awardees will be intimated individually.